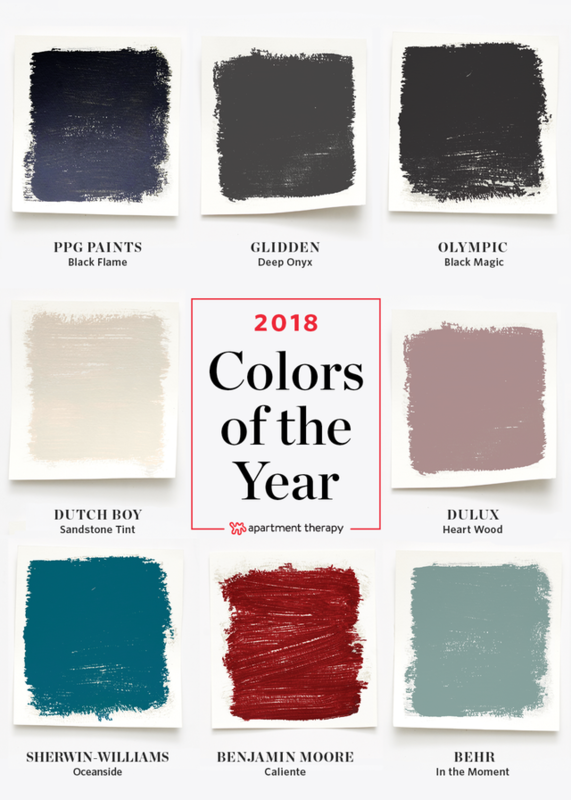 Here are the Trending Colors for 2018 Home Design! Spring is only a few weeks away and as a home owner, you may be thinking of ways to freshen up your home. Picking out new colors and using them in fun ways can make you happier with your home. You may want a change a dramatic bedroom color or an updated neutral in the hallway. You can make it fun! Paint your front door another color or create an accent wall inside. As a Texas Real Estate Broker, I’ve had the opportunity to see color combinations in play in hundreds of homes. In the words of one industry spokesperson, “The color combinations we’re searching for in home design in 2018 can be the equivalent to the classic comfort food of macaroni and cheese.” Interestingly, after the 9/11 attack in New York City, the color blue surged in popularity. Blue is a comfortable, soothing color associated with dependability, constancy, and peace — qualities Americans seek during unstable times. Now almost every product in the design industry still uses some shade of blue. Have you ever had the experience of walking into a room and feeling uncomfortable? Your reaction is typically due to a combination of things, in large part color. Color plays a significant part in a home’s selling price. I recently discovered a Zillow survey which found that homes using greige (a combination of grey and beige) as an exterior color sold for $3,496 more than comparable homes using darker colors. Simply put, outdated or abrasive color palettes negatively impact buyers. For example, Avocado Green and Harvest Gold were important colors (especially in appliances) in 1979. Considered outdated today, those colors can affect a buyer’s offering price. I’d recommend that if you’re planning to stay in your home for three years or more, go ahead and personalize your home with colors that you love. If you don’t think you’ll be in your home over three years, using a neutral wall color can help you have it ready for the market without having to repaint. As any good home stager will tell you, depersonalize your space so that you can command a good sales price. Behr Paints: “In The Moment” – a cool, tranquil, spruce blue inspired by nature. It’s a combination of blue, grey and green and designed to evoke a sense of sanctuary and relaxation amid our busy lives. Sherman Williams: “Oceanside” – a combination of rich blue with jewel-toned green using both blues and greens. Benjamin-Moore: “Caliente”- a vibrant deep red symbolizing strength and vitality. Dutch Boy Paints: “Sandstone Tint” – a neutral described as a color balanced between warm and cool incorporating both grey and beige. Personally, I think this is a wonderful color to use throughout your home. By the way, last year’s, the trending neutral was grey. According to a common design rule, every space should incorporate black in some way. Black is said to create feelings of privacy, silence, and tranquility to help with relaxation in an information-heavy world. Glidden, Olympic, and PPG created a version of black as their color of the year. Glidden Paint “Deep Onyx” – a classic, deep rich black which pairs well with any color. Olympic Paints & Stains “Black Magic” – a color that compliments greys, blush pinks, and warm whites. PPG Paint “Black Flame” – a blend of black and navy, two classic hues. You can incorporate color in many ways. For example, create a statement wall with just one wall in a room painted a bold color. Or apply a designer’s touch by updating the color of kitchen cabinets, interior and exterior doors, window trim and exposed shelving. Add pops of color with pillows, lamps, rugs, and artwork. Take a look at the paint color booklets found in paint stores, home improvement stores or online. In Conclusion: When working with me as your BROKER/REALTOR®, you can expect the most up-to-date information on color trends, the climate of the market and more so you can get the best outcome for your Real Estate needs. Should Home Sellers Decorate for the Holidays? People looking at houses during the cold-weather months are serious buyers. The weekends before Christmas and New Year’s tend to have some of the highest traffic of the year. In fact, December 28th is one of the busiest selling days in the entire year according to Realtor.com. Create a cozy feeling. When buyers walk into your home and feel relaxed, they are more likely to take their time in your home which can lead to an offer. Holiday touches like a bowl of pinecones, an evergreen wreath, or a pot of cider simmering on the stove can create a cozy, festive feeling in your home. Curb appeal is still important. This is where the excitement starts for a buyer. So avoid the twinkling, musical or colorful animated characters on the lawn, front porch or the roof. No blow-up Santas or things that deflate during the day. Don’t eat up square footage. 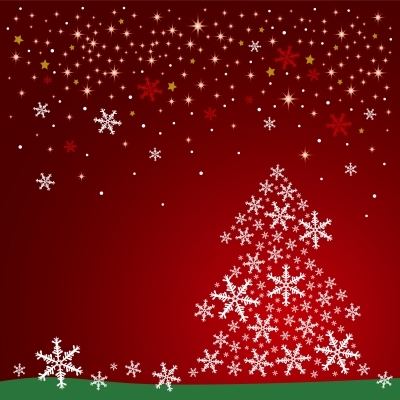 Find a Christmas tree that fits the size of your room – don’t go too big. You don’t want it or the presents underneath taking up valuable floor space and making your home look smaller. Tasteful decorative lights are fine. Lights inside your home can be cozy and festive. It’s best to use white lights or just a couple colors of lighting and to avoid flashing lights. Don’t use a lot of extension cords if you have a lack of outlets. This can be seen as a negative to buyers. Don’t display your holiday greeting cards. They can distract buyers and prevents buyers from “seeing” themselves living in your house. Be wary of displaying presents. The best thing to ensure security is to wrap a few empty boxes, tastefully, and put them under your Christmas tree. Avoid putting up personalized stockings. You can put up a couple of generic stockings, however, avoid personalized stockings and obscuring your fireplace mantel. Be an equal-opportunity decorator. Overtly religious decorations may be off-putting to some buyers. Keep neutrality fore-front so you can attract any type of buyer. If you’re not sure what qualifies, ask me! Can Contingent Contracts Work in Austin’s Real Estate Market?